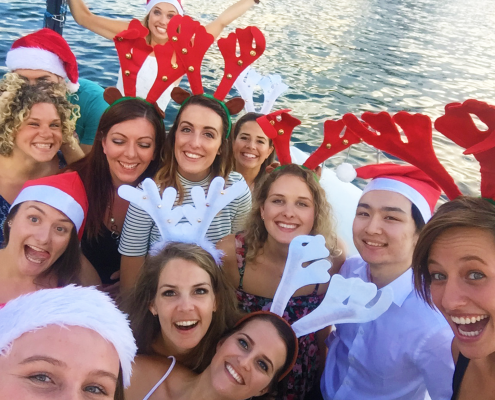 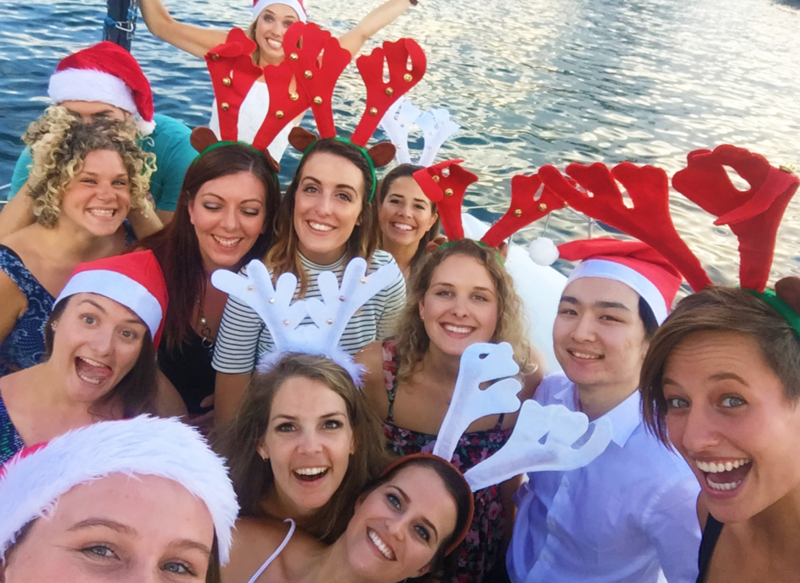 If you drew the short straw this year when it came to organising the staff Christmas do and are looking for Christmas Party ideas in Sydney, why not try something different?! 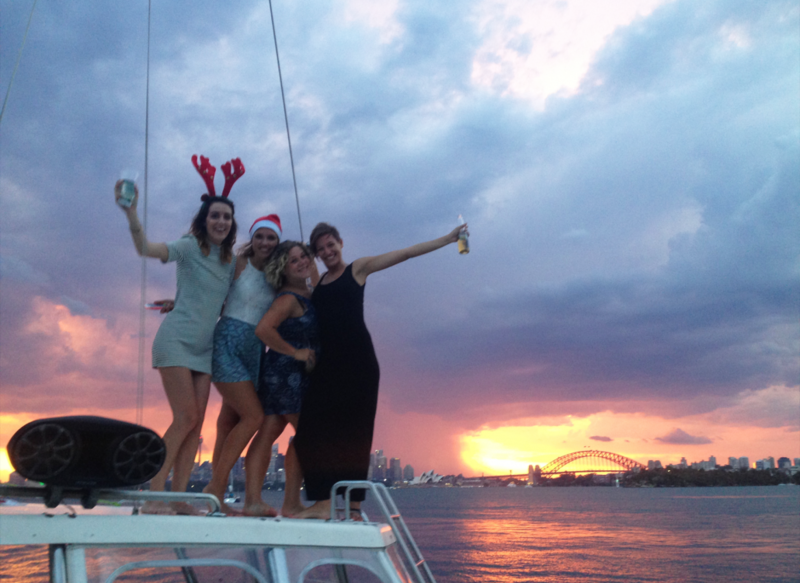 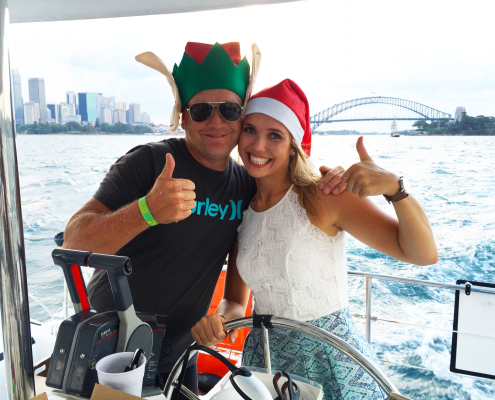 Arrange a Christmas Party cruise aboard Rockfish for you and your colleagues! 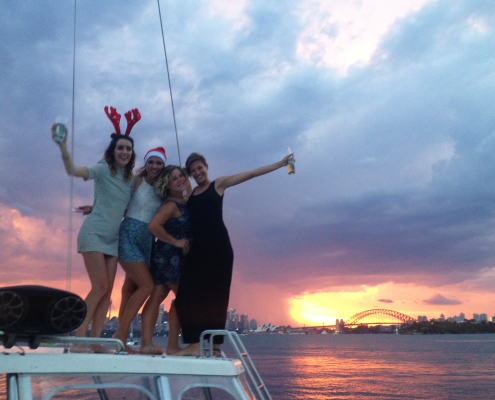 Our catamarans are perfectly designed for ‘sail & swim’ day charters on Sydney Harbour. 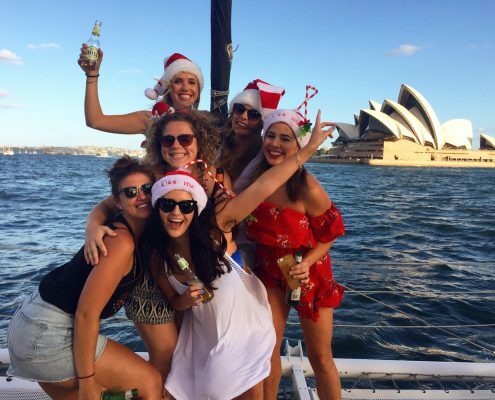 The large internal cabin areas accommodate up to 20-30 passengers, with plenty of extra space to relax on the nets on the bow and sunbake on the roof. 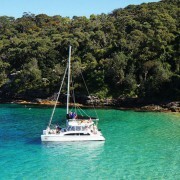 The catamarans are fitted with a gas BBQ and eskies to keep your food and drinks chilled. 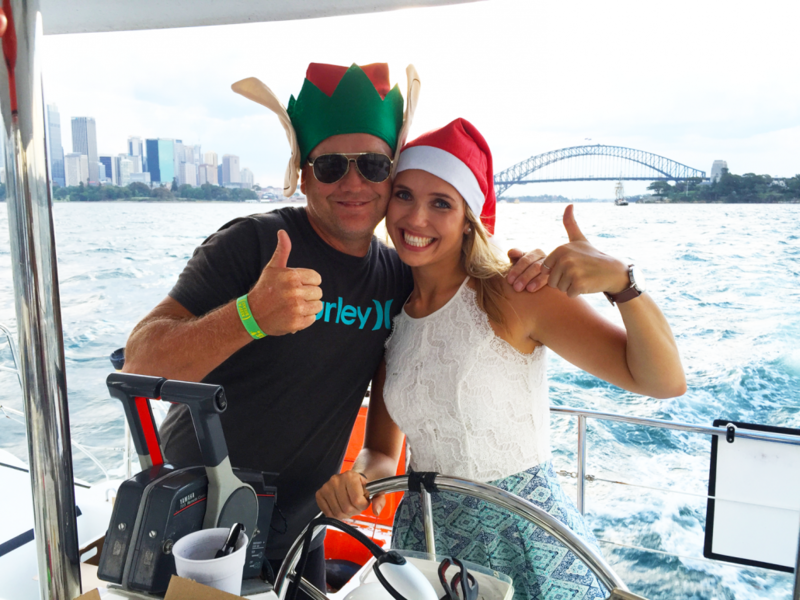 For convenience, we can also provide a tasty BBQ sausage sizzle catering option. 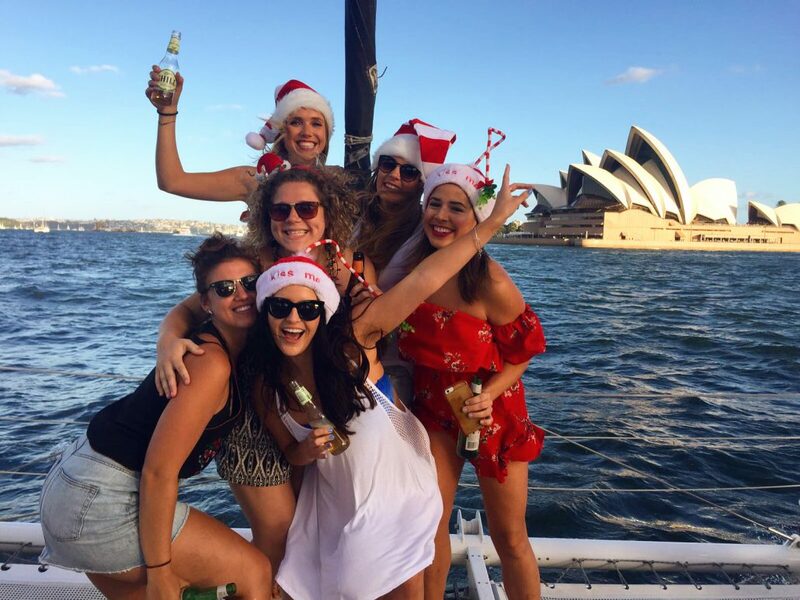 We offer pick-ups / drop-off at three convenient Sydney Harbour public wharves, alcohol is BYO!